The Bradford Rattlers organization are asking all fans, players, staff and billets to please take notice of the following article about a beautiful young girl Tayah Fairbrother. As the article below describes, Tayah is in a battle with stage 4 neuroblastoma (a rare and serious childhood cancer). More details about Tayah's story are below. The Rattlers will be showing our support by dedicating our home opener in support of Tayah. All profits from the game, including ticket sales, will be directly given to the Fairbrother family to help with these costs. Additional donation boxes will also be set up at the game. We encourage all supporters of the Rattlers to come out to this game for a great cause in honour of Tayah. 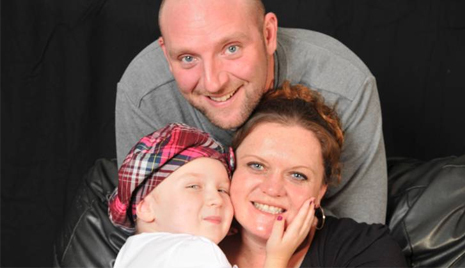 Tayah Fairbrother is battling cancer and needs your help!!! Tayah is a beautiful five year old girl who was diagnosed October 2012 with stage 4 neuroblastoma (a rare and serious childhood cancer). Before Tayah was diagnosed she was just like most little girls her age, enjoying dancing, singing, playing dress up, having tea parties with her friends and had just started junior kindergarten until that unforgettable day that dramatically changed her life in a instant. Since that day Tayah has gone through six rounds of chemotherapy, a major surgery, a bone marrow transplant, twelve rounds of radiation and is currently undergoing six months of an intense antibody therapy. She spends a large amount of time in the hospital and has missed out on so much due to her illness. Tayah is such a strong and amazing little girl. Even though she is going through such a traumatic time in her life she inspires us everyday with her spice for life!! Battling neuroblastoma is a long tough fight and sadly the statistics have shown that over 50% of these children will relapse even after all of these treatments. After a relapse the survival rate is less than 5%. We are determined to do everything we can to help Tayah be a normal healthy little girl again and live a long, healthy and happy life as she so deserves!! Our goal is for Tayah to go to Germany for an alternative preventative aftercare treatment in January 2014 once she has completed her course of therapy at sick kids hospital. This treatment is expensive and will cost about $45 000. We need help to raise money for Tayah to get this opportunity to do everything we can so she never has to go through this ever again!! !Please help!! !